Serving in the Green Greek team, I am a part of the Waste Management Team. 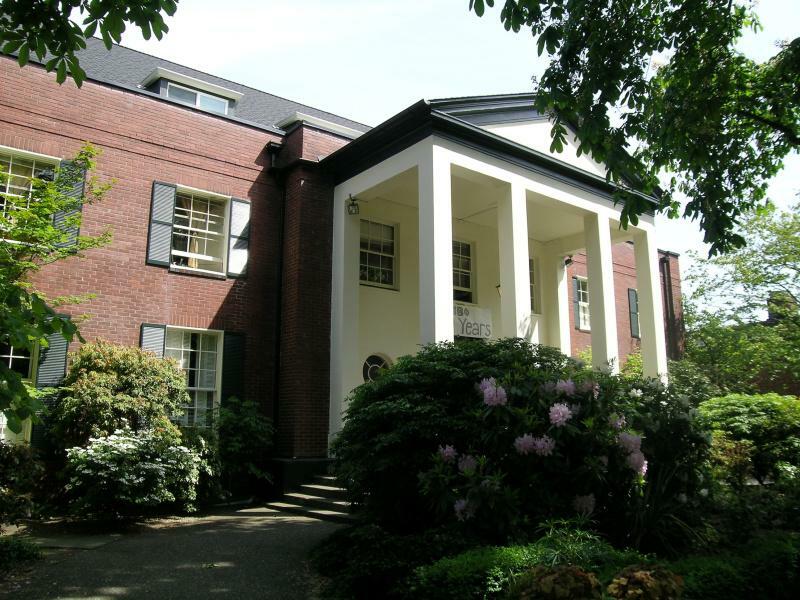 It had never occurred to me to consider not only the amount of trash Greek systems must produce, but more importantly, the amount of waste that is not properly disposed of. Our amount of trash can be managed by properly sorting through our waste, thus decreasing our trash with the elimination of things that can be recycled or composted. During our first meeting, I learned that Seattle provides financial incentive for communities to participate in sorting their waste. Recycling is COMPLETELY FREE and compost bin pick-ups cost around $11 per bin. In comparison, the $300 for a trash bin per week. The main problem within Greek communities lies within contamination of waste, which can also lead to several fines. Not only is that damaging to the environment, it also results in large bills each chapter needs to pay when these funds could be reallocated for something more beneficial. Greek chapters struggle with properly sorting their waste, which is truly a trivial matter with substantial consequences. Not only would there be less trash being thrown away and more matter being reused in some way – whether recycled or composted – it would also save money by spreading out the waste properly to compost and recycling bins, away from trash. Utility bills further emphasized the effect of contaminated bins, pointing to potential hundreds of dollars, per house, per month being virtually wasted. As a goal for my personal chapter, Pi Beta Phi, I was shocked during our waste audit of how many our own containers were contaminated. As a preliminary step, I set up a chapter presentation during which I educated members and let them know of what I intended to do to get us closer to a resolution. Everyone can properly dispose of their trash, to promote that, I reorganized bins throughout my house so that every trash been was accompanied by a compost or recycling bin depending on the room. In the study basement, for instance, I implemented more recycling bins because people were more likely to be throwing away papers there. Bathrooms had a trash and a compost for paper towels. 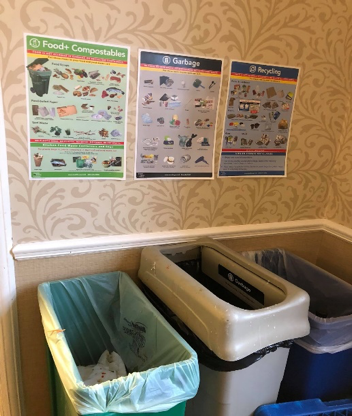 The kitchen, where I noticed the most waste, I set up all threebins next to each other with up signage above each to remind members what waste was appropriate for each bin. Improving waste contamination was not enough. I wanted to decrease the trash we had, overall. I spoke with our house mom, consulted our budget and organized with our delivery to switch to eco-utensils. 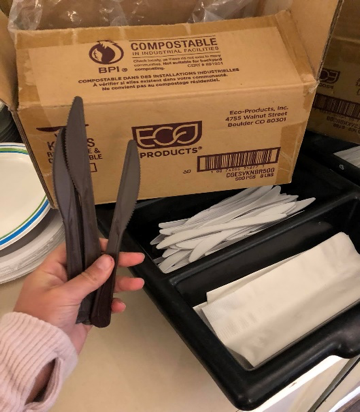 Our previous utensils were plastic that was neither recyclable or compostable. Seeing this as excessive waste, our house has now transitioned to utensils that are compostable, lessening our trash that pollutes the world.